To wonder weight loss is seems like a fairly nonsensical thing to do, considering that the answer is already embedded in “weight loss.” However, in the context of CoolSculpting and modern methods of reducing fat in the human body, the difference between fat reduction and weight loss may be more important than you think. First, it’s important to start with the fact that weight loss can’t be replaced by fat reduction processes, such as CoolSculpting. If you’re in a situation where you’re overweight or obese, and there is a large presence of fat on your body, the best way to lose weight would be diet and exercise. Diet and exercise are methods that reduce weight all around the body in even ratios so that your body parts don’t have unusual amounts of weight distributed across them. 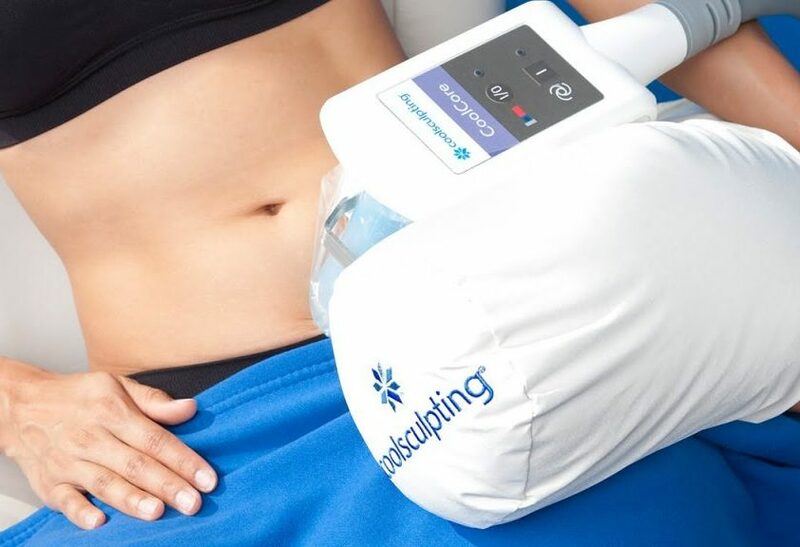 If you happen to have a high amount of fat on your body, the solution wouldn’t be CoolSculpting, because CoolSculpting can’t help lose weight evenly across the body. Fat reduction has a different meaning when comparing it to weight loss. In procedures like CoolSculpting, fat reduction is a manual process, and it can target particular areas of your body. This means that when you visit a clinician, the areas in which your fat will be reduced must be determined by a careful analysis of your body. Unlike liposuction, however, CoolSculpting is a non-invasive method of fat removal, and so it’sfar simpler and less expensive. It’s important to know that fat reduction processessuch as CoolSculpting can’t replace diet and exercise if you are trying to lose significant amounts of weight. When you are thinking of reducing fat in your body with CoolSculpting, the idea is that the fat in those areas is stubborn and hard to get rid of through standard weight-loss methods. The CoolSculpting process involves the supervision of a trained professional as well as advanced machinery. Therefore, fat reduction procedures are best suited for people who have a moderate amount of fat on their body and want to address certain areas on their body. Another huge difference between weight loss and fat reduction is in what way you are actually losing fat. CoolSculpting permanently reduces the amount of fat cells. When a fat removal process takes place, as opposed to regular weight loss through diet and exercise, the amount of fat cells in the body is actually being reduced. With CoolSculpting, the amount of fat cells reduced is usually around 20%-25%, but it can be as high as 50% for some cases. The fat cells are brought to very low temperatures, and then through a scientific process called cryolipolysis they are eliminated from the body. In the fat removal process, fat cells do not migrate to other areas of your body, and areas untreated by CoolSculpting will not be affected. With CoolSculpting, you and your clinician can choose exactly where you want fat reduced in your body without risking any unintended disproportions or consequences. Diet and exercise only make fat cells smaller. Another important thing about how weight is gained and loss is what happens on the cellular level. Let’s say that you were to eat some fattening food—how does the fat from the food turn into fatbulges on your body? Well, after the food travels through your digestive system, it proceeds to the liver where it is processed. While the food is processed, it is providing your body with energy, while the excess fat is then stored into your fat cells leading to weight gain. When weight is lost through diet and exercise, the fat cells shrink to smaller sizes despite the number of cells being constant. When weight is gained, the opposite process occurs. The number of cells that remain in our body is usually determined to be mostly a fixed number during teenage years of development. Does this mean that CoolSculpting is not safe? Although it may seem worrying that fat cells are being lost in the process of CoolSculpting, the process is entirely safe before and after treatment for a variety of reasons.The CoolSculpting procedure is always handled by clinicians who are specially trained in CoolSculpting. The special training is an in-depth certification process that makes sure CoolSculpting is done correctly and safely. Additionally, while under the careful supervision of licensed professionals, the treatment process is done in medical offices to guarantee the highest standards of care. The CoolSculpting system itselfhas built-in safety measures to ensure that your skin or body is not harmed during treatment. For example, when the sensors detect that the skin is too cold, the CoolSculpting system automatically shuts down. Many people feel confident that the CoolSculpting treatment is not only effective, but safe. It’s your turn to decide if CoolSculpting is the right treatment for you! Now that you know the difference between weight loss and CoolSculpting, you can make a more educated guess whether CoolSculpting is the right treatment for you. Moreover, you have a better understanding as to what’s going on inside your body with both types of fat treatment. If you decide that it’s right to do, all you need to do to get started is consult with a clinician near you. Certified professionals in CoolSculpting are approved all over the world, and you can easily find a clinician online to make your way on your journey to a slimmer body.